Making a great first impression is critical when it comes to showcasing your home. Potential home buyers want that “wow factor” when they pull into a driveway. Luckily, straightening up the exterior of your home is easier—and less expensive– than you think. We suggest going outside and taking a closer look at your home then start making a list of ways to enhance the things you like about the exterior of your home. For example, if you love your walkway, think of ways to draw attention to it with flowers and lighting. 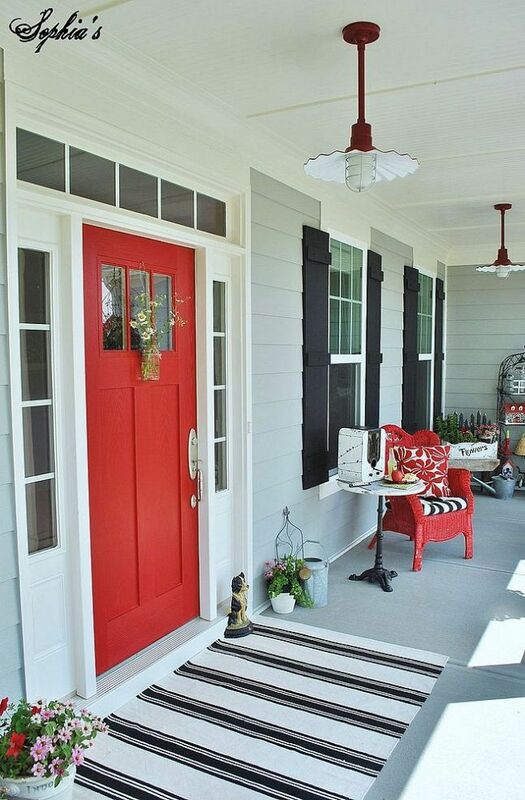 You can enhance your doorway by painting the door a vibrant red or blue in order to draw the eye to your entrance. Simple landscaping projects such as reseeding bare spots to green up the lawn, planting a tree, and trimming bushes are oft-overlooked weekend projects that can add a lot of value to your home. Just remember, don’t forget to extend your hard work to the backyard as well. These simple, but effective, tricks can make all the difference to potential buyers. If your walls have scratches, wallpaper that is an eye sore, or an outdated coat of paint, it is time to start thinking about how you can freshen up your wall situation. 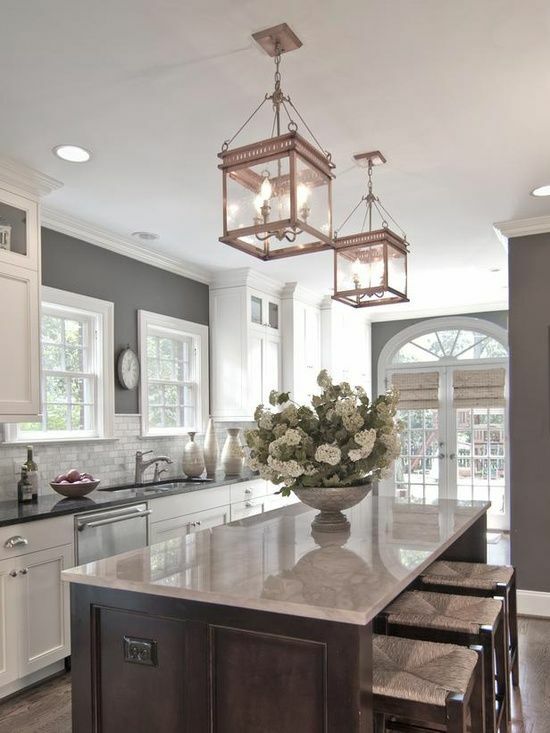 If you are trying to maximize the value of your home, it is best to choose a neutral color scheme that unifies the entire house. It is important to keep in mind that lighter colors on the walls will maximize your space by making rooms look bigger. Luckily, sprucing up the interior of your home by adding a fresh coat of paint is an easy weekend project that won’t cost you too much. If you have cheap vertical plastic blinds or paper shades, consider replacing them with plantation shutters, nice drapes, or wooden blinds. It doesn’t matter if these are left for the next seller, but it will improve the look and feel of your home to potential buyers. 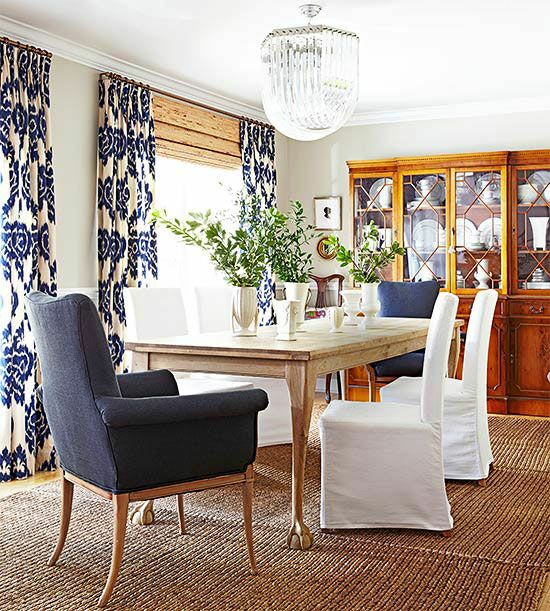 A quick trick is to install curtains higher than the windows to make any room look bigger, too! 4. Upgrade your Bathroom – on the cheap! 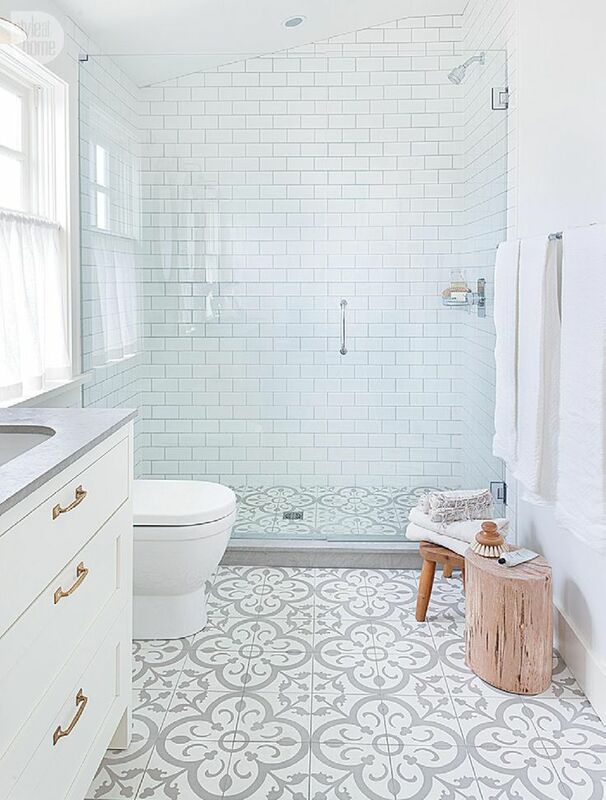 Quickly changing out a few key elements in your bathroom will make a huge difference. 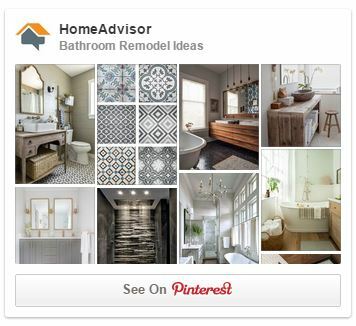 You can decide what is really “hurting” in your bathroom and just focus on a few key pieces. Is your vanity extremely outdated? Could your tile use an upgrade? Are your fixtures from the 1960’s? Changing just a few key things will make a huge difference. And of course, remember to make sure that your bathroom is spotless when potential homebuyers are walking through. We aren’t suggesting you run out to your local cabinet maker to get custom cabinets fitted for your kitchen. In fact, you can simply stain or paint existing cabinets that are in good shape. This works especially well for outdated oak wood cabinets. By staining or painting existing kitchen cabinets white, you’ll make your kitchen look bigger, brighter, and more modern. The good news is that white usually does not go out of style and future owners can easily paint over it if they want something different. Be sure to remove all the hardware, including the doors, and scrub off any residue and dirty that may otherwise ruin your work before you start painting. We are sure you’ll love the results so much that you may also consider doing this in your bathroom too! You don’t need to be a do-it-yourself expert to transform your home. These fast fixes can improve your current living situation and make your home a bit more impressive for potential buyers. Either way, with some elbow-grease, a bit of your time, and a few extra dollars, you can find ways to increase the value of your home that won’t break the bank. Author Bio: Article contributed by LeafFilter. LeafFilter is a micro mesh gutter guard that attaches to your existing gutters and provides you with clog free gutters for the life of your home.